Zynga’s massively successful moneymaking machine is about to get another way to reach its millions of avid users. Today, the company is starting to test SMS notifications, allowing a small number of users to receive updates directly to their mobile phones. The first 50 TechCrunch readers to sign up here will be able to try it out for themselves, though it’s limited to Mafia Wars only for now. It’s a feature that’s going to be good news to the game’s millions of addicts and also represents a very important strategic move for the company. Because it’s one more thing that Zynga won’t have to rely on Facebook for. Zynga’s ties with Facebook run deep. They now share some of the same investors, including Russian firm Digital Sky Technologies which has poured as much as $400 million into Facebook and just led a $180 million round in Zynga. Zynga is rumored to be Facebook’s largest advertiser. And Facebook’s viral features have played a huge role in helping Zynga rise to prominence. But despite all of this, it’s in Zynga’s best interest to keep as much control over its own games as possible. The reason why became very obvious last October, when Facebook announced it would soon no longer let developers push updates to a user’s Facebook Notifications. This is a big blow to all developers, as the notification channel is one of the best ways to keep users engaged over a long stretch of time. Zynga in particular has become particularly adept at using the channel to keep users coming back for more. Their tactics haven’t always been Kosher and are sometimes downright spammy, but they work. Now that Facebook is killing off this channel, Zynga needs to find another way to connect with its users. Developers are going to start getting access to Facebook users’ Email boxes, so that’s a start. But Emails don’t generally instill the urgency as a Facebook Notification. 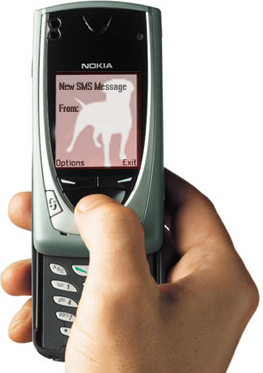 SMS messages do, and then some. Zynga will have to convince users to hand over their phone numbers of course, but they’ll get a strong hold on anyone that does. For now messages will only be able to provide notifications, but in the future users will actually be able to respond to them to execute in-game actions while they’re away from their computer. Zynga Product Manager Curtis Lee says that Mafia Wars makes a good testbed for the notifications because it’s text based (Farmville and some others are in Flash) and because it has a stable, established user base. The feature will be going live for around 10% of Mafia Wars players initially. Lee also notes that Zynga actually started working on the SMS notifications prior to Facebook’s decision to kill off access to its Notifications streams. One obvious concern with the new feature is spam — Zynga has made a habit of exploiting any way they can find to grow its userbase and increase revenue. Lee acknowledges that Zynga hasn’t always been perfect on this front, but says that the company is implementing a set of controls so you can disable messages during certain time frames and adjust message frequency. He also says that they’re starting conservatively, throttling back the number of messages that come from frequent events, like in-game attacks. And if you ever get sick of the messages, you can just reply to Zynga’s messages with ‘STOP’, and the feature will be disabled. SMS alerts aren’t the first step Zynga has taken to wean itself off of Facebook Platform. Last month, it launched Farmville.com, a standalone site dedicated to the company’s massively succesful game. Farmville.com is still reliant on Facebook Connect, but it gives Zynga more control over the user experience. I suspect we’ll continue to see more moves like this in the near future.